• Sally Lethborg outside her home, which stands on a farm that’s been in her family for four generations. 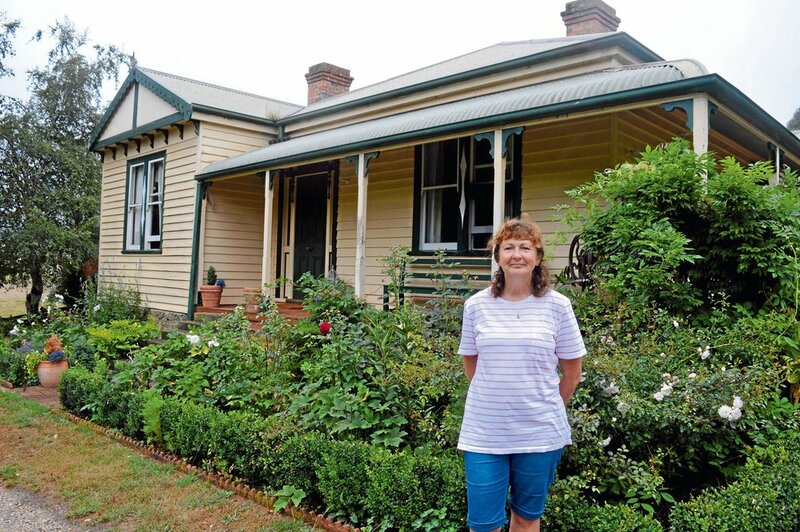 FROM a restored homestead at Ferny Hill, just outside of Bridport, Sally Lethborg recounts how the property came into her family four generations ago. Sally’s great grandfather, Captain William Henry Jones bought the first title at Ferny Hill in the late 1800s. Captain Jones married Francis Harrington Brewer from Bowood, and they lived with their seven children in a small house near the entrance to the property which still stands today. Sally says around the turn of the century, as residents started to move away, Captain Jones bought their properties, expanding his title. “When it was a whole farm it was a couple of thousand acres but it has been divided now,” she says. In years gone by, there was a police station at the back of the property and a small school house on Ferny Hill Road which was attended by a handful of students, including Sally’s dad. Many of the other titles along Ferny Hill road also had houses standing on them, however few of these structures are still standing. Sally grew up in one of the cottages on the property, which her parents Oscar and Berna owned. The house Sally and her husband Keith live in today was built by her grandfather Arthur Britton Jones, who was Captain Jones’ son. “This is where my grandmother, aunt and uncle live,” she says, pointing to black and white photograph of the weatherboard house. “The verandah was built in there because they had a prisoner of war, an Italian fellow who helped out on the farm. Sally says it took her and Keith three years to renovate the abandoned house into the home it is today. “There was only scrim and paper on the walls, that’s hessian with wallpaper over it and there were boards behind it and there were gaps between the walls so the draught would come through,” she remembers. The original fire places are still in the front room, and while they are no longer used, Sally chose to keep them to retain the character of the building. Outside the home is a beautiful, mature garden which was established after Sally and Keith took over, in place of large pines that towered over the house. “We cut the pines down because they were taking over, and they were right over the house nearly and becoming quite dangerous,” she explains. 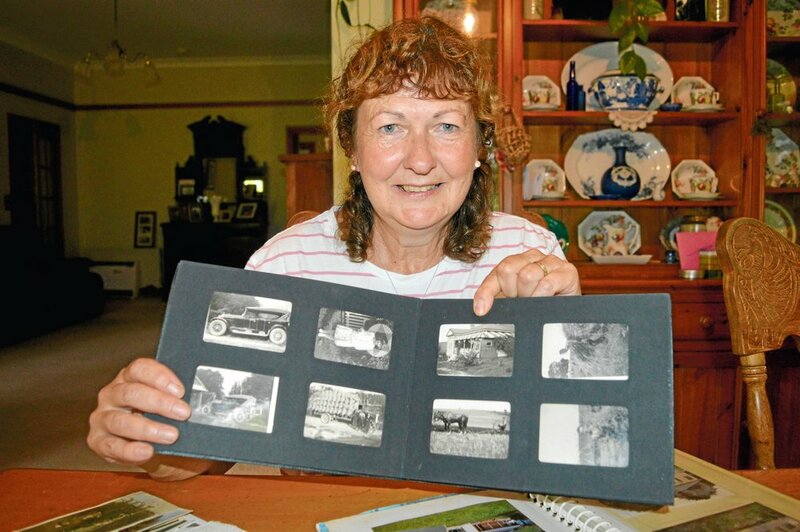 For many years, Sally has been fascinated by her family’s history and collected information, photos and relics. She has several items which belonged to her great grandfather Captain Jones, who was a significant figure in Bridport’s early years. Captain Jones operated a ship called Bessie, trading bulk supplies of general cargo between Bridport and Melbourne. In 1876 Captain Jones built the Forrester Inn, which was the first hotel in Bridport. 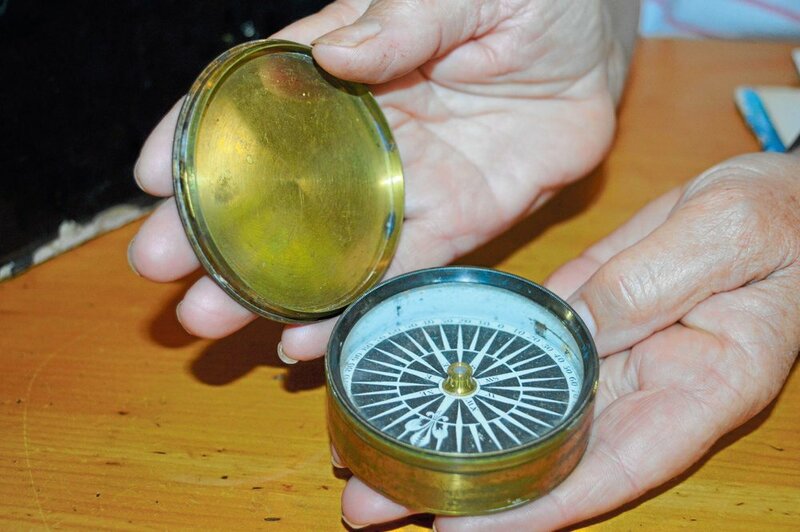 “From his shipping days we’ve got things like this,” she says, holding up a compass, and his rum stamp. “We’ve still got this dinner bell from the pub in Bridport too. One gap in her collection, however, is a picture of his ship Bessie, which she says she would like to acquire. We will be featuring more local historic buildings in a regular Behind Closed Doors segment. If there are any historical buildings in the North-East you think have an interesting story, please get in touch.